Horseshoe Boutique: The Lowdown: We Love Social Media! The Lowdown: We Love Social Media! We know you'd just LOVE to come see us Horseshoe gals every single day but let's be real, that's probably not completely possible. What better way to stay up to date on all that's happening inside The Shoe than to follow us on the internet!? 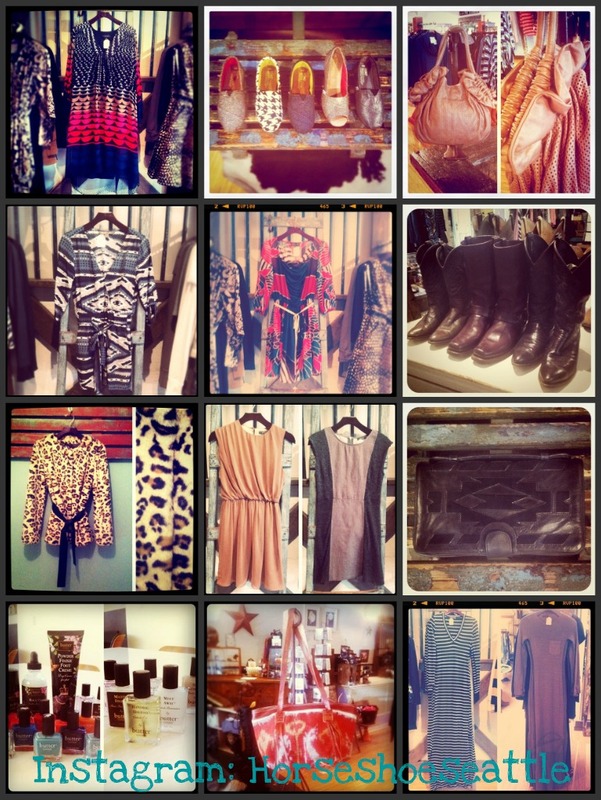 With Instagram you'll get little snip-its of new arrivals to hit the floor as well as staff favorites. Although Instagram is exclusive to iPhone users, don't you worry! We'll post the photos to our Facebook page as well as our Twitter. If you DO have Instagram, be sure to stop by and say hello! Our username is: horseshoeseattle.